Below are some of the custom compiled databases that are ready for immediate download. Forum is proud to offer some of the finest databases in the marketplace today through our own compliation division as well as leading database and mailing lists companies in the industry as a reseller. All of the databases are up-dated annually so please order with confidence. If you do not see an industry or category on this site please send us an email and we will research compilation for you. We have access to all industries in the USA and can also compile databases for overseas businesses. SPECIAL INTRODUCTORY PRICING NOW IN EFFECT! 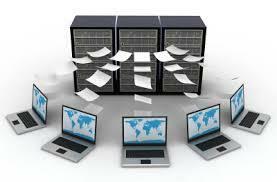 Our company is always adding new valuable databases for our clients. This website shows our most popular BUYERS databases. We have access to over 2 million business listings in the USA and custom compile lists daily. Our lists have company name, address, phone, email and websites included. What market do you want? Click here to make a request.